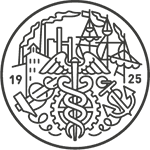 These terms and conditions assist and guide you in buying products from the E-SIGARET.EE web shop. 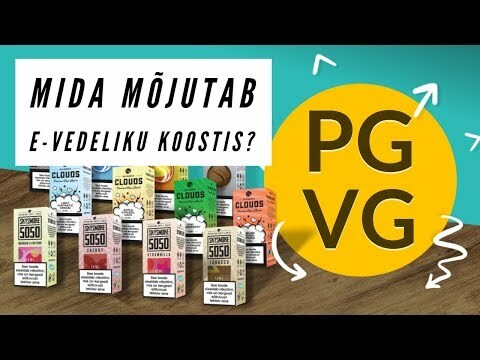 In addition to these terms and conditions, the legal relationships arising in connection of buying products from the E-SIGARET.EE web shop are governed by the legislation applicable in the Republic of Estonia. To ensure that you can enjoy a smooth shopping experience, you should review the terms and conditions of the E-SIGARET.EE web shop before making the purchase. 1.1 Nicorex Baltic OÜ is a service provider which has created the web shop www.e-sigaret.ee for selling products to the users of the service. 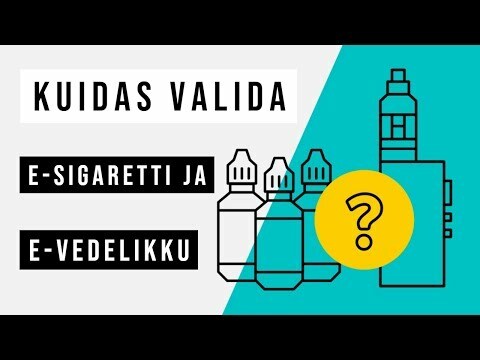 1.2 A customer is a user of the service who places an order in web shop www.e-sigaret.ee and identifies himself by entering his personal data in the order. 1.3 Nicorex Baltic OÜ may unilaterally alter the terms and conditions and modify the web shop service at any time without any obligation to notify the user in writing thereof. 2.2 The user declares that he is a natural person at least 18 years old. 2.2.1 In view of the above, Nicorex Baltic OÜ can reasonably assume that the user is at least 18 years of age. 2.3 Nicorex Baltic OÜ may refuse to enter into a contract of sale if it learns that the user is a natural person below 18 years of age. 2.4 The user declares that he has reviewed the terms and conditions of E-SIGARET.EE web shop before effecting the sale/purchase transaction and agrees and undertakes to comply with the said terms and conditions. 3.1 All prices in the web shop are shown in euros and are inclusive of VAT (20%). 3.2 Nicorex Baltic OÜ may at any time adjust the prices displayed in the web shop. 4.1 The availability of products displayed in the web shop may change in accordance with the current stock balance or due to technical problems in the web shop program. 4.2 If the product is out of stock or it is evident that the actual delivery time is longer than that shown on the product page, or if the order cannot be fulfilled, an employee of the web shop will contact you and suggest a new potential delivery time or replacing the product with an equivalent product having the same price and quality, or alternatively, the money paid for the product will be refunded. Your money will be refunded immediately and in any event not later than 14 days after placing the order. 4.3 Product information is checked and updated regularly. It could be that the information has been updated since your last visit. 5) The products will be delivered to you after you have placed an order via the web shop and paid for it. 6.1 Please make sure to supply correct contact particulars when placing the order so as to avoid delays and misunderstandings in connection with delivering the products. Nicorex Baltic OÜ and the courier company are not responsible for delays and misunderstandings in delivering the products if the delay or misunderstanding is due to the inaccuracy or incorrectness of data supplied by you when placing the order. 6.2 Within Estonia, the products are delivered to you using Itella Smartpost, Itella courier or Omniva. 6.3 Outside Estonia, the products are not delivered. 6.4 If you have selected parcel terminal service (Itella Smartpost or Omniva) as the delivery method, you will be notified by SMS once the products have reached the destination. 6.5 All products in stock are delivered inside Estonia within 1-3 working days. 7.1 If, having placed the order you want to withdraw from the contract before Nicorex Baltic OÜ has fulfilled the order, you should inform thereof in writing as soon as possible by sending an e-mail to info@nicorex.ee, or alternatively, call the customer service line +372 609 8505. Your e-mail should indicate the order number you wish to withdraw as well as your contact particulars (given name, surname, date of placing the order, telephone number). 7.2 If we receive the withdrawal request after the contract has been performed, withdrawal shall take place in accordance with section 8 „Right to return“ hereof. 7.3 We will refund the amount you paid immediately and in any event not later than 14 days after receiving the notice of withdrawal. 7.4 The money will be transferred to the same bank account from which it was remitted to Nicorex Baltic OÜ. 8.1 The products bought from the web shop are subject to a 14-day right of return as from the receipt of the products. 1) To return a product, you must send an e-mail to that effect to info@nicorex.ee. 3) Please ensure that the returned product is complete, in original packaging and unused, and accompanied by the original of the invoice. 8.3 If, after returning the product, it appears that the product does not meet the criteria set out in section 8.2 hereof, the user will not get a refund and the returned product will be stored at the service provider. Any expenses arising from returning the stored products shall be covered by the service provider. 8.4 In the event of return, your money will be refunded immediately and in any event not later than 14 days after returning the product, whereas postage is not subject to refund save where the product is not in conformity with the order. 8.5 You have a 14-day right to get replacements for such non-conforming products. 8.6 The money will be transferred to the same bank account from which it was remitted to Nicorex Baltic OÜ. 9.1 Nicorex Baltic OÜ is responsible for the products’ non-conformity with the requirements and their defects appearing within 2 years from the delivery of the products to you. 3) the normal physical wear of the product arising from standard use. 9.3 In the event of returning a non-conforming product, the amount paid for the product (including transport cost) shall be refunded to the bank account indicated by you not later than 30 days after receiving the notice of withdrawal and the request to return to product. 9.5 The battery’s warranty period equals 3 months or 300 charging cycles. 9.6 The invoice and/or receipt serves as the document certifying the validity of the warranty for the purchased product. 10.1 All personal data of the customer learned in the course of visiting the web shop and making purchases are handled as confidential information. 10.2 The source of personal data is the establishment of a customer relationship when registering an order in the web shop. 10.3 Secure data exchange and security systems are applied when requesting card data. An encrypted data communication channel with banks ensures the security of your personal data and banking particulars. The entered card data are not accessible to the service provider. To effect the transaction, the card holder is directed to the secure environment of Pankade Kaardikeskuse AS. At the time of payment, the card holder enters card data into the database located in the server of Kaardikeskus, and the data are stored in a server located at Kaardikeskus. 10.4 The personal data required for delivering the products to you are transmitted to the courier service company selected by you. 10.5Nicorex Baltic OÜ undertakes not to transmit personal data to third parties..
10.6 You may verify, modify, and request the removal of personal data pertaining to you. 10.7 The user authorises Nicorex Baltic OÜ to send an order confirmation to the e-mail address supplied upon placing the order. 10.8 By registering as a user of E-SIGARET.EE web shop, you authorise Nicorex Baltic OÜ to send offers to the e-mail address indicated by you. Having logged in to the web shop environment, you can choose not to receive offers. Consumers may file a complaint regarding goods or services which do not conform to the contract conditions within two (2) years of the date of purchase. The person filing the complaint must hold a proof of purchase (receipt or invoice) of the product or service to certify the date of purchase. Consumers must notify the trader of the non-conformity of goods or services within two months of learning of such non-conformity. Either the producer or the trader will ascertain non-conformity. All parts of the purchased non-conforming product must be returned to the trader. If not more than six (6) months have passed since the purchase of the goods or services for which the consumer has filed a complaint concerning non-conformity, the trader bears the burden of proof as regards the existence of non-conformity. However, if more than six months have passed, the consumer is required to prove that the hidden defect or other non-conformity was present upon the purchase of goods or services. The trader is not liable for the defects of goods or services which were known to the buyer at the time of entering into the contract, or for defects resulting from improper use or maintenance (Law of Obligations Act, § 218 (2), § 218 (4), § 220 (1), § 222 (1), § 641 (1), § 642 (2), § 644 (1), § 646 (1), and § 647). All complaints will be handled in accordance with the legislation applicable in the Republic of Estonia. Failing the desired outcome, the consumers may always address the Consumer Protection Board (Rahukohtu tn 2, Tallinn 10103, telephone: +372 6201700, info@tarbijakaitseamet.ee ). Nicorex Baltic OÜ wishes you a safe shopping experience in E-SIGARET.EE​​​​​​​ web shop!